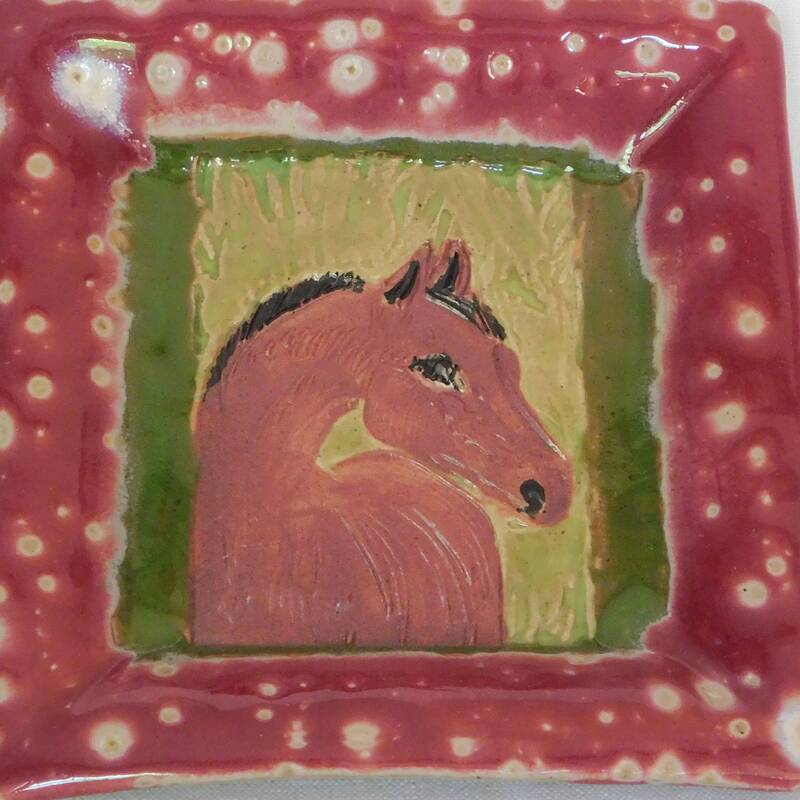 An embossed horse's head is stamped onto this square plate, tile or tray. This plate belongs to a series I made many years ago of wood and linoleum block prints of horses. I later figured out that the bocks could be used to imprint clay and so I began making one off prints into handmade square plates of the images on my blocks. This is one of the smaller prints in that series and is made from a linoleum block. One of the hanging beads on the back popped off so I'm declaring this one a POTTERY SECOND and half pricing it. See the last detail picture for where the hanging bead used to be. 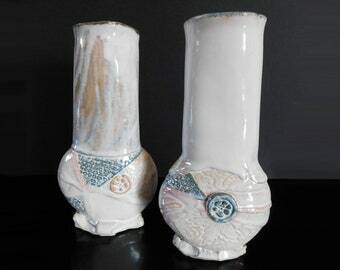 Made of stoneware clay and high fire glazed this tile would be perfect for a high moisture area like a kitchen, bathroom or patio. It is dishwasher safe and lead free. It measures 5 3/4"(14.5cm) square with a depth of 3/4"(2cm).